Some of our most exciting local, national and international poets and performers will attend this year's festival. Early bird registration will open in early January 2019, while opportunities to join our family of benefactors are now available. 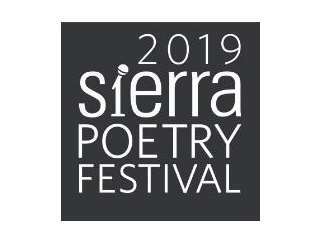 In addition to its mainstage event, Sierra Poetry Festival marks National Poetry Month from the rolling foothills of California's Gold Country to the rugged High Sierra, bringing our rich literary community together to celebrate the spoken word and reach out to brand new audiences in fresh ways. Readings, workshops, music, an activity fair for all ages and youth performances will be preceded by a month of pre-festival pop-up poetry events. Sierra Poetry Festival encourages both a strong local presence and international and universal themes. Each year we choose a special anchor for these themes. For 2019 our anchor point is Breath and Shadow, breath indicating the ebb and flow of nature and the seasons, and shadow being symbolic of our ephemeral existence and self-reflection.